THE BAY The Series Press: CBS SOAPS IN DEPTH: Stars Added To THE BAY! Two hunks from THE BOLD & THE BEAUTIFUL — one past, one future — have joined the cast of the Emmy-nominated Web soap THE BAY! 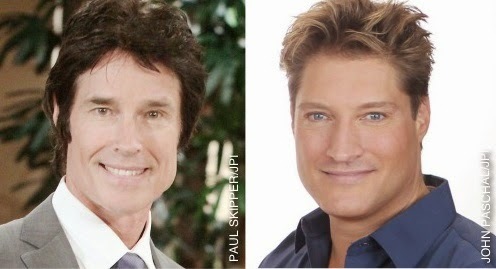 Ronn Moss (ex-Ridge) is set to play John Blackwell, the former district attorney of Bay City, while Sean Kanan (who returns to B&B as Deacon in June), has joined the Internet serial as press secretary Kenneth Allen.